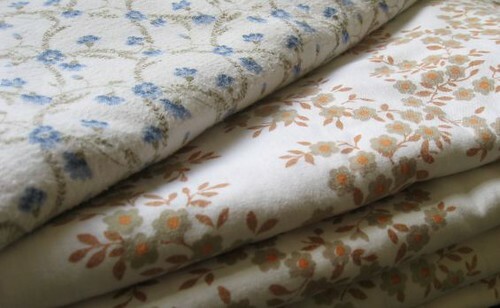 I have received some thrifted sheets which I think are absolutely adorable. I also received the following three aprons. I will keep the second one in the stack as an apron - its a gorgeous shape/design. I'd really like to make something with the fabric from the first. I am thinking of making a case with it or maybe keep it simple and just edge it as a tea towel. There is not very much usable fabric so it will be a challenge. 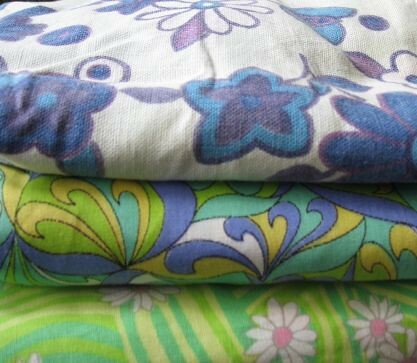 what great finds!the apron fabrics are real tresures, the kind i'd fight you for if we reached for them at the same time in the opshop!cant wait to see what you create!